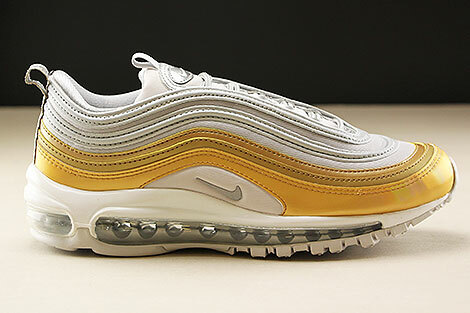 The streamlined lines, the characteristic lacing and the discreet swoosh - shortly before the turn of the millennium Nike presented the Air Max 97, a very large sneaker that we all still have in our best memories. 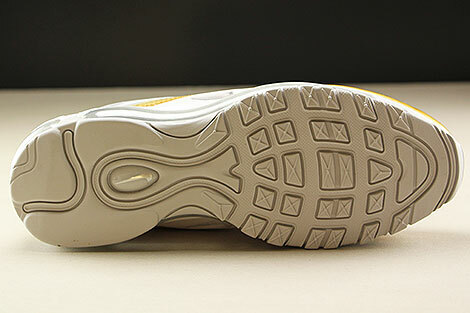 Inspired by the Japanese high-speed train Shinkansen, the Runner shaped our youth and made our eyes shine. 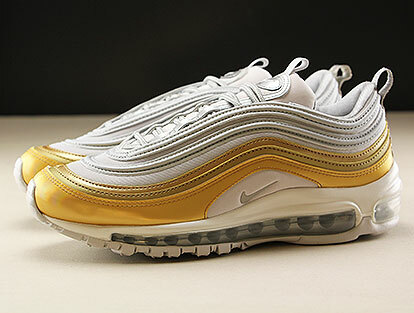 As if it had never disappeared from the scene, the Air Max 97 presents itself with a triple layered upper, an extremely slim design and an Air Unit that extends from the heel to the toebox for an incomparable wearing comfort. 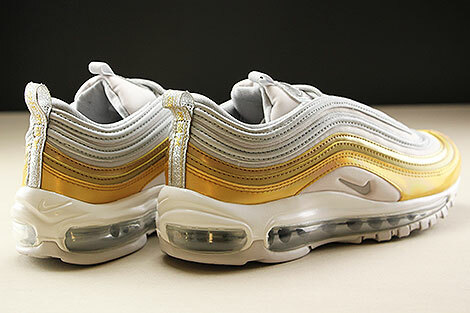 Here comes the Nike Air Max 97 as part of the luxurious "Metallic Gold Pack". 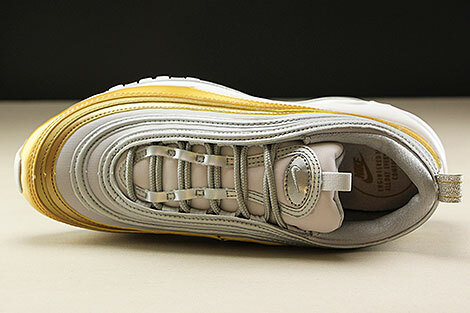 The new pack alludes to two classics, the "Silver Bullet" and the "OG Gold". 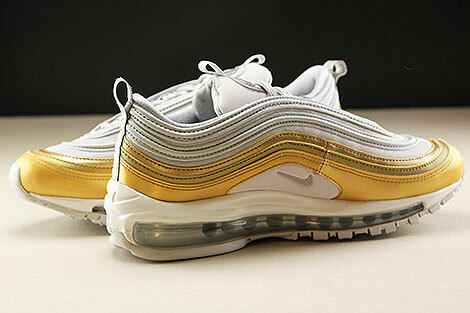 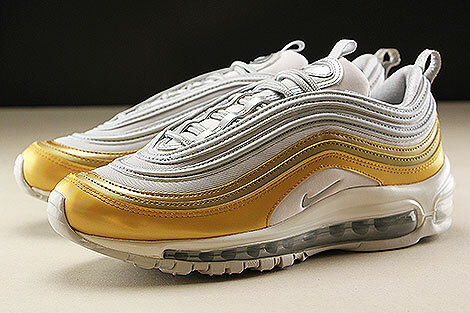 In this Nike Womens Air Max 97 SE, the top half of the upper is metallic silver, while the bottom half is metallic gold.